Hello, comrades. I would like to discuss with you the political correctness of a site known as Truthism.com, and whether or not it should be approved by the Party. Personally, I think it should be. First of all, the site does the thinking for you and not otherwise. Second, the site is like many other conspiracy nutjobs running around blaming Bush for Pluto's orbit. Since conspiracies are progressive (When they're not aimed at progz) the site is progressive. The only problem is that Aliens can have advanced tekkknology. As we know, tekknology is Hitler because it globally warms the world and harms Holy Nature. Also, the Aliens may have spirituality connected to them, and spirituality keeps people busy and not feel guilty for having a nickkkle. Comrade Skinnee Jay, Ministry of Purity. Clearly the truth at Truthism.com is the truth. Evidence like the image below is undeniable. However I could never support a site that looks like it was designed in 1996. 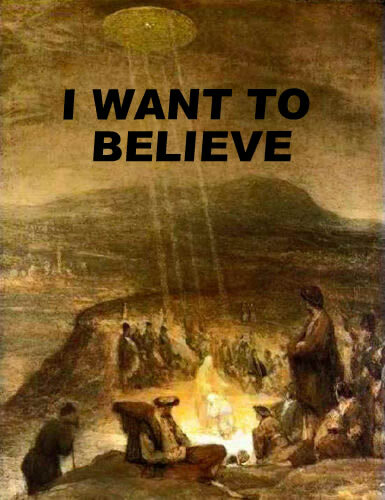 Actually, I think that's an artist's depiction of UFO depictions in ancient times. The real truth is not that the earth is hollow, but that it's full of sh*t and it constantly farts into outer space, creating greenhouse gases! Algore is not an enviromentalist, he is a proctologist! NOW WE KNOW THE REAL TRUTH! Amazing! Using two sources which do the thinking for you, you come upon the REAL truth! Only I think you have used thought to discover the truth, but we will forgive you since it's Party-Approved Truth. Also, yes, Makism, this proof is god-smacking proof you can't argue against. It's like a photoshopped 9/11 image which removes the plane. "The ruling elite's deception against humanity mainly exists at a fundamental level, affecting the aspects of reality that you erroneously assume are basic truths." I love it when an author cites himself as proof that he's right. I think the webmaster needs to get a stronger prescription for his lithium. I can't believe a person could be this arrogant. I'm pretty sure any conversation will go along the lines of "NO I'M RITE SHUT UP YOU'RE BRAINWASHED". Basically, he's like the silly rebel who destroys authority only to establish one of his own.